It’s a great time to be a makeup junkie. The past few years have witnessed the birth of several new local makeup brands, and each one of them has been bringing their A-game to the table. One of these new players is Vice Cosmetics, which just launched last year. With the success of several lines of lipsticks and their first collab, Vice is upping the ante with a range of powder highlighters, blushes, and contour called the Aura Collection. First, let’s get something out in the open: every single product in this collection is tagged at a very inexpensive price of P150 for 3.5g! And with its metallic hot pink casing, I daresay that these are some of the most nicely packaged powders at its price point. The collection consists of three highlighters, eight blushes, and two contour powders. I am impressed with the shade selection of this collection, as there are shades that work well for both mestizas to morenas. The highlighters are aptly named Shining, Shimmering, and Splendid (yes, like in the Disney song!) and are definitely the stars of this collection. They are buttery smooth with serious shimmer. Splendid, a champagne-toned highlighter, and Shimmering, which is similar to Splendid but more pink-toned, would work well on light to medium skin tones. Shining, a soft gold, would complement medium to deep skin tones. The blushes come in a wide variety of shades, from soft pinks to deep berries, and in a mix of matte and shimmer finishes. The formula itself is nothing extraordinary. They are a bit chalky and dry, but the level differs for each shade. It takes a few swipes to get the color to show up evenly on the cheeks, but these get the job done. As for the two contour powders, I am thrilled about having matte contour powders that are suitable for light to deep skin tones! Porsyur is a milk chocolate that will work for light to medium skin tones while Confeeerm is a chocolate color that will complement medium to deep skin tones. The formula for these are better than the blushes - they are creamier and apply more smoothly. Confeeerm is especially quite pigmented so better to apply with a light hand. (In person, these contour powders are matte. The sun was shining very brightly the day I took swatch photos, and the oils on my arm may have been reflecting light). Overall, I recommend the Vice Cosmetics Aura Collection to anyone looking for affordable face colors. My top picks for my NC20 skin would be Splendid, Winner, and Porsyur. These last a modest 3 to 4 hours on my very oily skin. The very low price, cute packaging, great color selection, and mostly good quality make these very bang-for-your-buck purchases for student budgets, people who want to try new shades, or as stocking stuffers this Christmas. 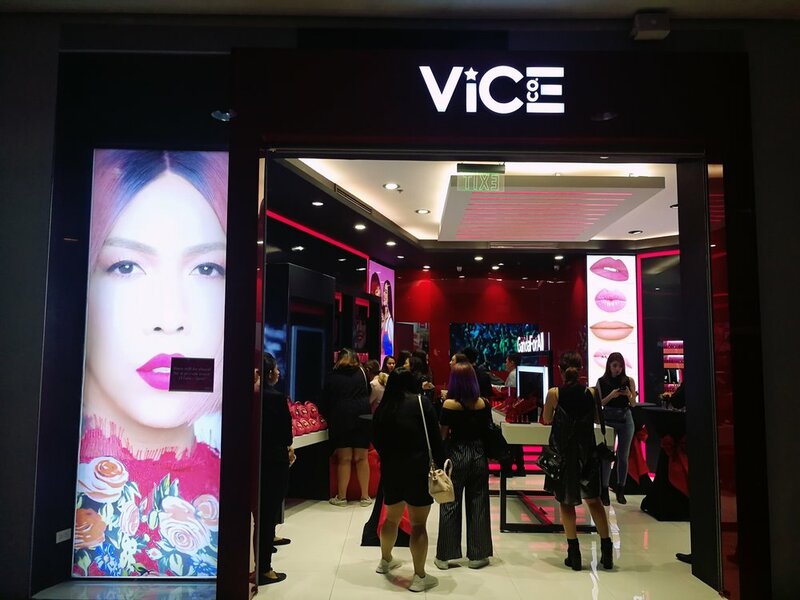 Those who want to check out this collection will no longer have to squeeze themselves into small kiosks at the mall as Vice Cosmetics finally opened their first and flagship store at Market Market! Swatch the shades for yourself and pick the best ones for you. Finally, you may have caught wind of the controversy surrounding these new releases. Netizens have pointed out similarities in the look of these powders and Jeffree Star highlighters. Both feature round pink compact cases, and a star logo embossed in the powder. 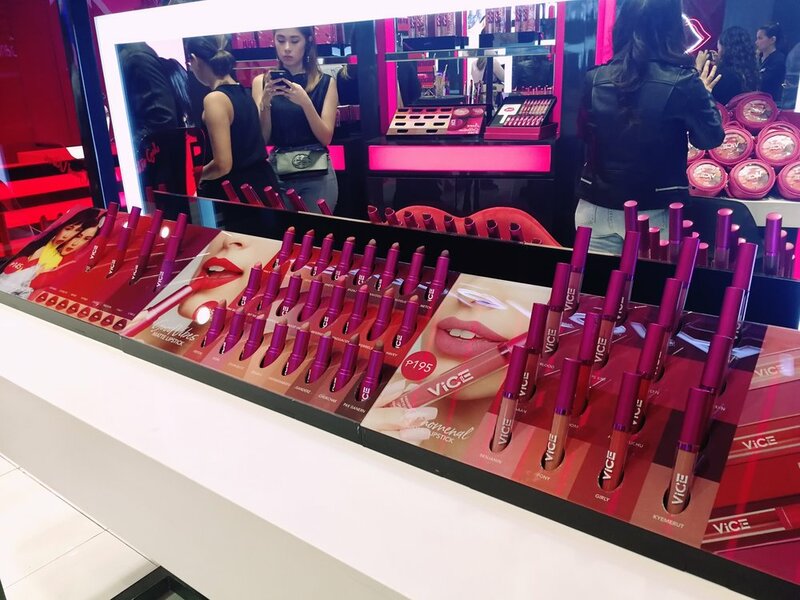 They are not exactly alike though - as PV fellow writer Marielle points out, Vice uses a metallic hot pink case with a clear lid while Jeffree has a lighter shade of pink and mirror inside the lid. The star image in the Vice Cosmetics powders is also the same as the tattoo that Vice Ganda has sported on his neck since 2013, which is a year earlier than the 2014 founding year of Jeffree Star Cosmetics. Have you tried Vice’s new #CHEEKret? Do you think they look too similar to Jeffree Star? What do you think about this collection?